Spring is here and the flowers are blooming and the birds are chirping. Spring time brings forth so many things. Kids just got through with Spring Break, Patrick Reed won the coveted Green Jacket in the Masters, and high school and college students are getting ready to graduate! Graduation is such a paramount event you want to make sure you have everything in order. Cap and gown has been ordered and you find yourself needing graduation invitations. Don't worry, we got this. 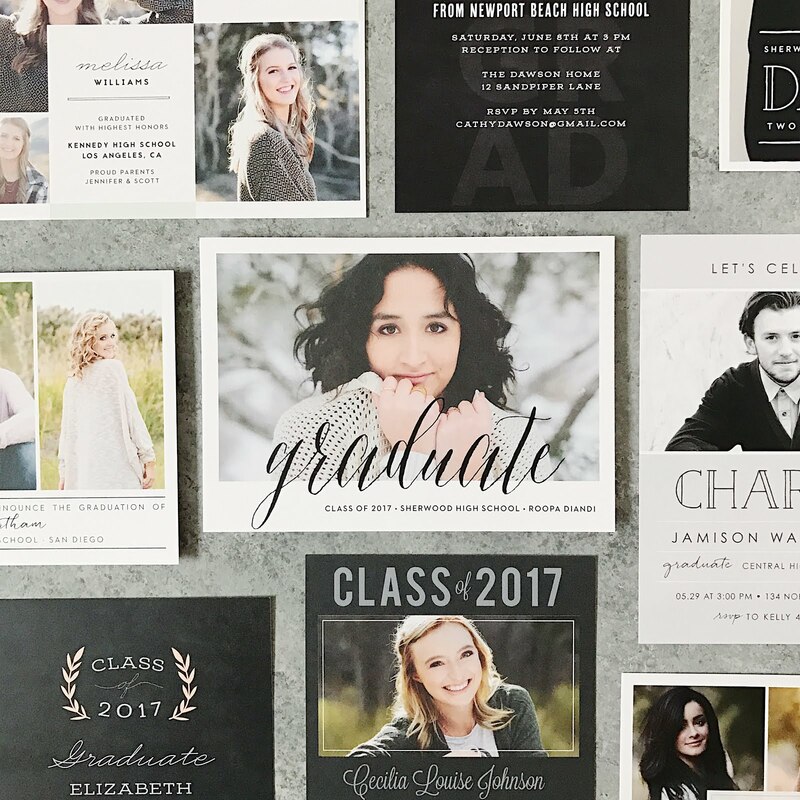 Basic Invite is your one stop shop for graduation party invitations 2018 and grad thank you's. 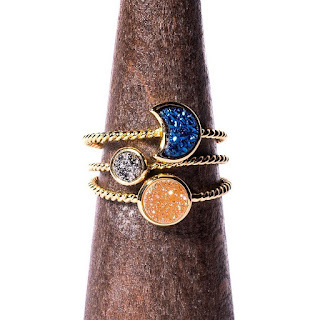 Almost Unlimited Colors - Basic Invite is one of the few websites that allows customers almost unlimited color options with instant previews online. Once you select a design you can change the color of each element on the card to over 180 different color options so you can make sure the card is exactly how you want it down to the littlest detail. This is what I feel sets them apart from almost any other online stationery company and is what we feel is their biggest draw. Over 40 Different Colors of Envelopes - Basic Invite is just as colorful with their envelopes as we are with their invitations. 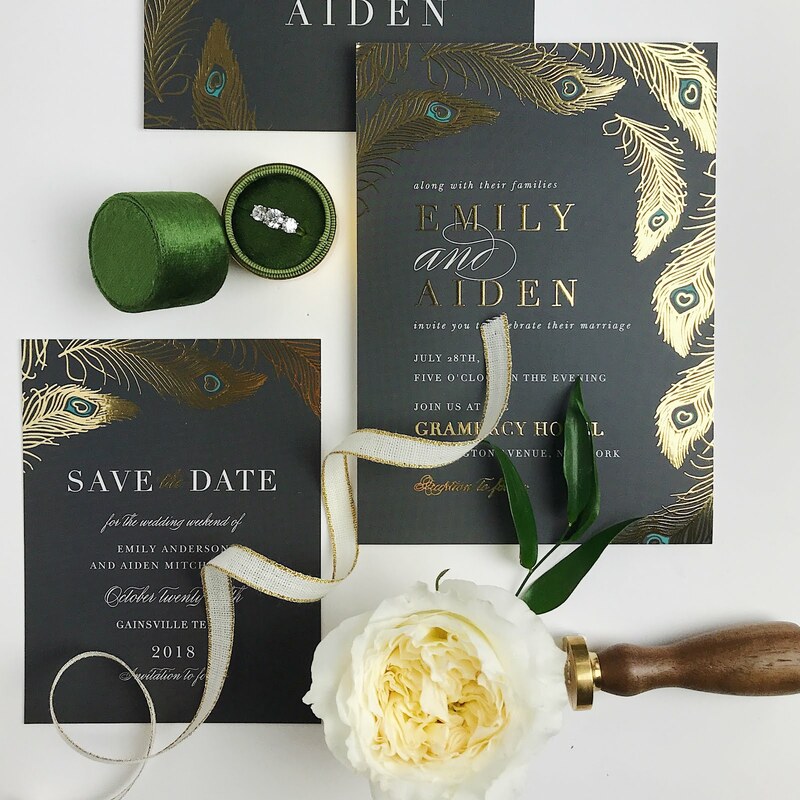 Customers can choose from over 40 different colors when it comes to their envelopes so that they can make their invitation stand out even before it is opened. All of the envelopes are peel and seal so the envelopes can be quickly and securely closed. This is glorious news when you have to mail 500 envelopes! Address Capturing Service - Basic Invite offers an address capturing service that allows customers to simply share a link on Facebook, Twitter, Instagram, or any other form of social media to request their friends and family’s addresses which will be stored in the customer’s account and can then be selected during the design process. Basic Invite offers recipient address printing at no cost on all Christmas card orders. I am definitely making a note on this when I get ready to order Christmas cards. This would same me a lot of time! Foil - Foil cards are available in gold, silver, and rose gold. Customers can choose flat or raised foil on all of Basic Invite’s foil designs. Rose gold is a trending color this year and I think the rose gold foil cards are gorgeous! 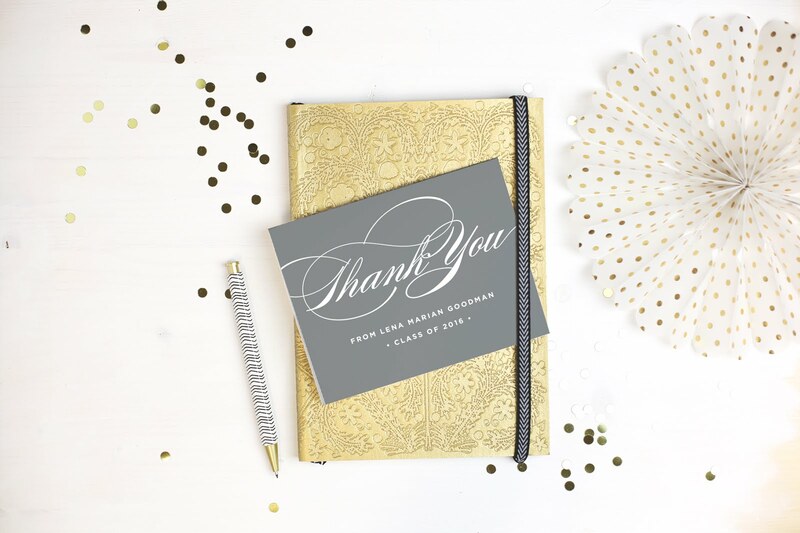 Your invitations should reflect you and Basic Invite lets you customize the invitations and thank you cards you need to reflect your personality, your pictures, your school colors and so much more. Basic Invite has many other types of invitations such as baby shower, wedding, and bar mitzvah. I absolutely love the stationery at Basic Invite. With all of the choices at Basic Invite, you are sure to find an elegant design you can customize to fit your needs.